The National Association of Manufacturers (NAM) released a survey of its 14,000 members on Wednesday, showing record levels of confidence among the group and an overall positive outlook. NAM cites the Republican-led tax law as a driving force behind the boom in US manufacturing. Projected wage growth is also expected to rise at the fastest pace in 17 years. 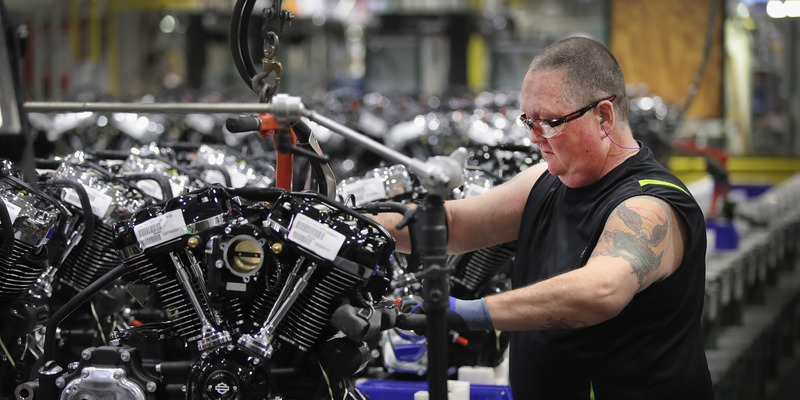 In the National Association of Manufacturers’ (NAM) quarterly outlook survey published on Wednesday, 95.1 per cent of manufacturers surveyed said they have a positive outlook for their companies, a record-high in the past 20 years. The survey also found that among medium-sized manufacturers, 95.8 per cent of those surveyed have a positive outlook. In addition to substantially increased confidence, projected employment growth and capital spending are at record levels. Manufacturers also project wage growth to rise at its fastest pace in 17 years. NAM President Jay Timmons credited the survey results to the massive tax cuts for corporations that were part of the overall tax-reform law passed late last year. The survey is conducted among NAM’s members, which consists of 14,000 American manufacturers. NAM is a trade association that has experienced lucrative relationships with the Trump administration and Republicans on Capitol Hill as of late. The group pushed for passage of the Republican tax law for much of 2017, which they now cite as a major component of the manufacturing sector’s success.